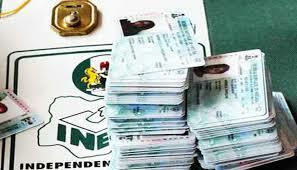 The Independent National Electoral Commission (INEC) says 364,265 Permanent Voter’s Cards (PVCs) were still unclaimed in Ondo state. Akeju said INEC would display voters’ register across the state from Nov. 6 to Nov. 12 for claims and objections. “The commission has fixed Nov. 6 to Nov. 12 for the display of voters’ register for people to inspect for the necessary claim in terms of wrongly spelt name, incorrect age and address,” he said.